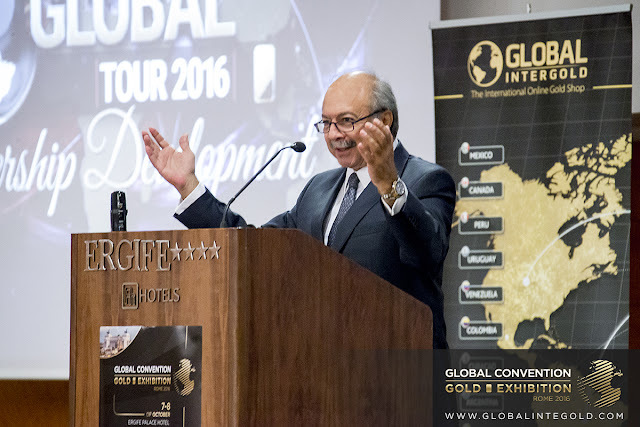 Resounding success of the Global Convention & Gold Exhibition 2016! 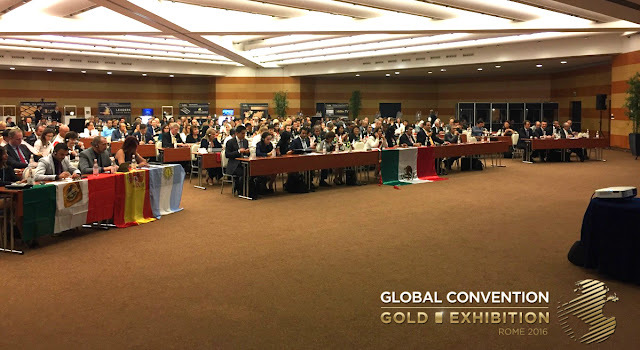 The Global Convention & Gold Exhibition 2016, held at the splendid Ergife Palace Hotel in Rome, has been a complete success. 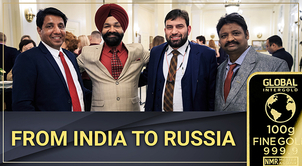 Clients from 38 countries headed to the conference to get to know important news about how to earn money and the next development plans for the gold business. The Global Convention is a traditional event in which both new clients wanting to get acquainted with GIG's business opportunities, and experienced clients seeking further motivation, come together to share and acquire expertise to work and promote the business more efficiently. 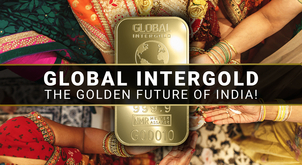 The event featured an exposition of Global InterGold's products placed in different stands. 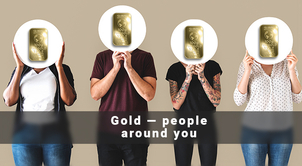 From gold bars to Leaders Awards, and from competition prizes to information on how to win them; everything at our clients' disposal. 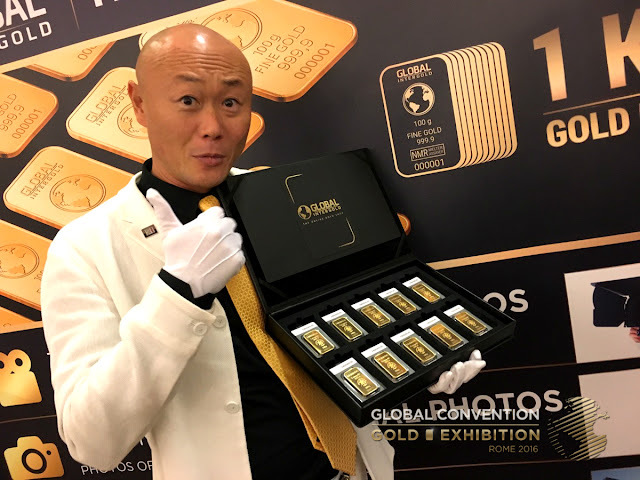 None of the attendees wanted to miss the chance to hold a 1-kg gold bar in their hands while wearing white gloves to appreciate its unique features. 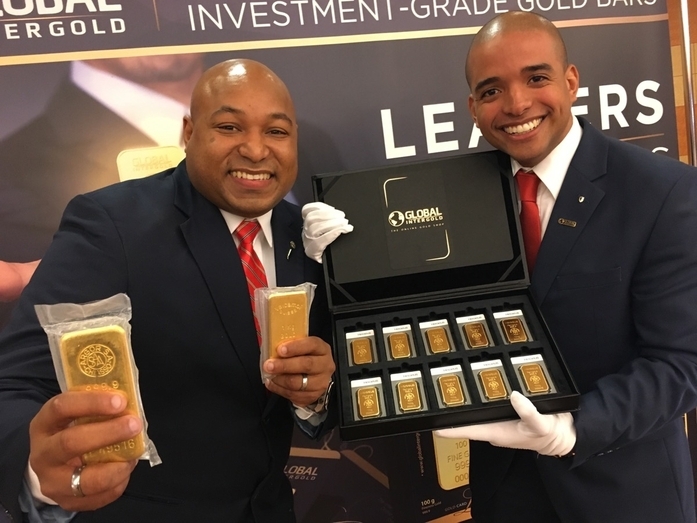 Clients had the chance to immerse themselves in Global InterGold's gold world and take a closer look at the items they can add to their gold collection. 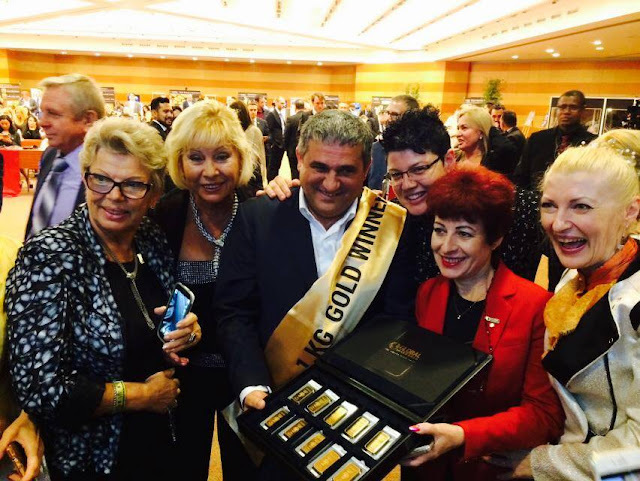 New heroes in the gold business: 6 clients obtained the title of "Grand Leader" and an Apple iPad mini Gold! The newly named Grand Leaders were awarded certificates and GIG-branded Apple iPads with the engraving of their prestigious title. The company highly appreciates the contribution of its clients to the business and, as a gesture of its gratitude, gives them awards and honorary titles guaranteeing the company's support. "Money comes with the best leaders. Become a leader worth following." The incredible Grand Summer Voyage 2017 competition for a ticket to a marvelous trip at the company’s expense has started! Great victories deserve great prizes. 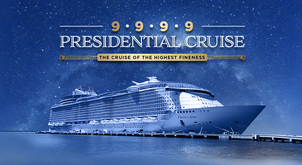 The winners of this competition will embark on a cruise on board the world's largest ship, Harmony of the Seas, as did the winners of the competition in 2016. The Grand Summer Voyage is a traditional competition in which everyone can win. At the Global Convention, the company management announced the start of the competition. In 2017, the 30 most motivated and persevering clients will head off on this amazing journey. Now it is the best time to start! This competition is targeted at the creation of new structures so that anyone has the chance to obtain the prize. The audience burst into applause! 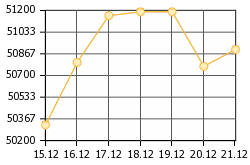 Revolutionary acceleration of income on the GoldSet Global Smart table of orders! What can accelerate income generation more than activating the option to split tables into sections on all the GoldSet orders? Only the option to start independent tables! 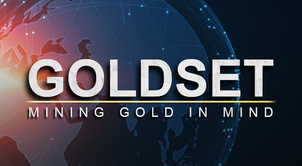 One of the shocking news was the announcement of the revolutionary new option available on the GoldSet Global Smart order. Clients can now start their own independent tables. When starting an independent table, clients' orders will be placed there to increase the speed of rewards! The Global Tour 2017 will start in Asia under the motto "Earn money with gold!" 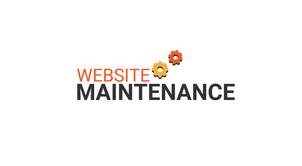 "We know how important it is for our customers to maintain a close relationship with the company. And we know that our Asian clients are waiting for us! We have already planned events in Asia with company's leaders. 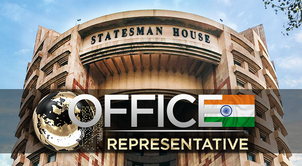 We want to give every client the chance to meet leaders and the company management." As the Director of Development stated, the company and leaders will organize educational seminars and business presentations which will include Awarding Ceremonies and many surprises. 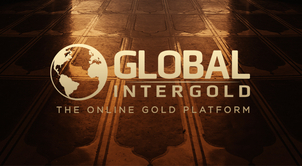 The dates of the events will be revealed very soon on our Global InterGold news website separately. Leaders Award Ceremony and Competitions Awarding.Who got the prize of 1 kilo of gold worth 38,000 EUR? Outstanding leaders and the winners of the company’s competitions were called up on stage to receive their well-deserved awards and prizes. 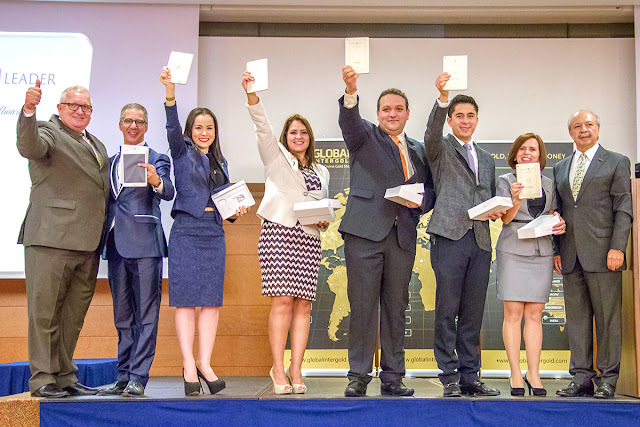 In keeping with tradition, the leaders received Leaders Watches, gold bars, and exclusive promotional materials for having attained an incredible success in the business. Afterwards, the company awarded the winners of the Global 100 contest, and the luckiest participant of a recent live broadcast who got a GIG-branded Apple iPad. Then, the Director of Development answered the question on everyone's mind: who was going to get 1 kilo of gold (currently worth 38,000 EUR)? And accompanied by a storm of applause, Gevork Dzhlavyan was called to get this incredible prize! Within the past month, (from September 5th to October 6th) he increased his team with 74 new people! 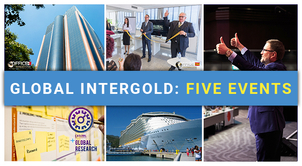 He proved everyone that everything is possible with Global InterGold, and that there are more and more people wishing to achieve financial independence. 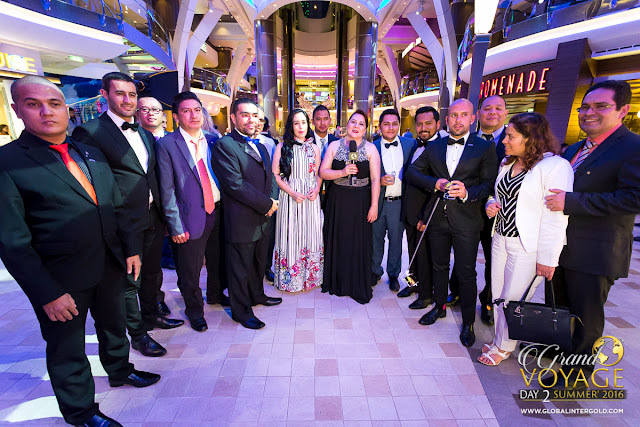 After the conference, a select circle of guests celebrated their victories in the purest Global InterGold style at the main restaurant of the Ergife Palace Hotel. Rather than a business event, it was a friends gathering in a laid-back atmosphere. These moments with colleagues who have already become like a second family are, indeed, precious. A group of jazz livened up the evening while they enjoyed a deluxe menu in the company of successful people. And, as it could not be otherwise, they tasted the traditional dessert: a cake in the shape of a gold bar! Every day, we come closer and more successful. 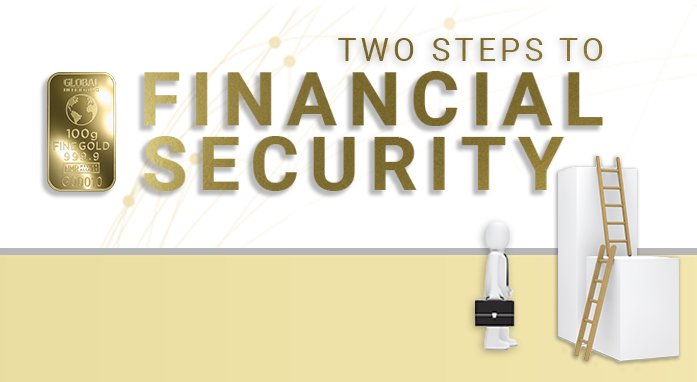 Every day, our team grows allowing us to reach more people and help them to achieve financial independence! 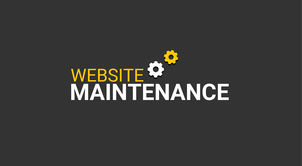 We develop and introduce new tools for you. We are delighted by our business growth. 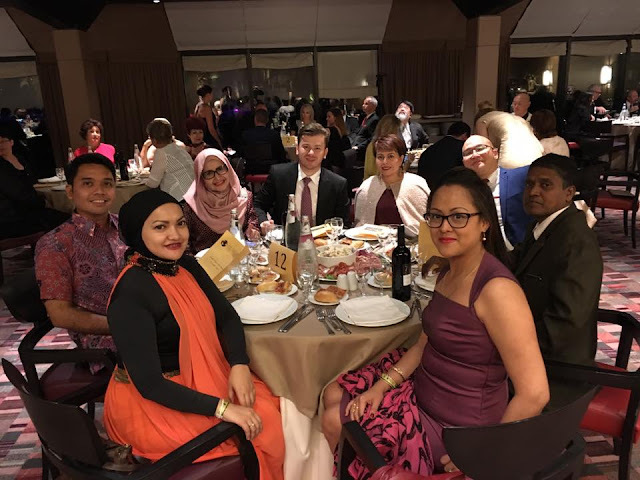 We would like to thank all our clients and especially all those who shared these wonderful days with us in Rome, and those who followed our updates on our pages. You are our main support! Together, we get better and make this world a better place! We remain your faithful and reliable assistant in the world of the gold business. Now that the Global Convention 2016 is over and everyone has new options to boost their businesses, it is time to start participating in the Grand Summer Voyage 2017 competition.